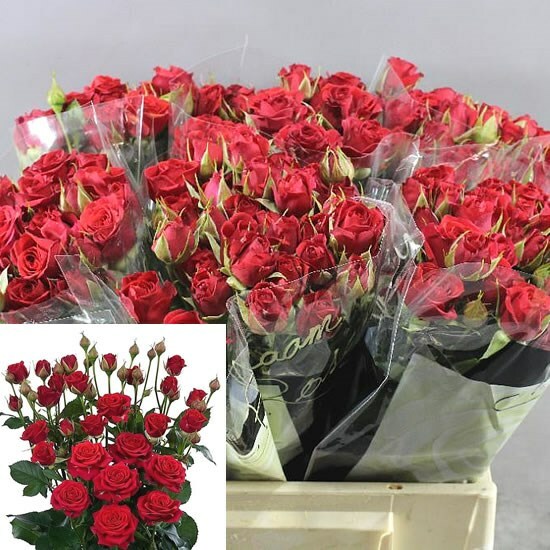 Mirabel are a glamorous red multi-headed Spray Rose variety. Stem length: 70cm. Wholesaled in 20 stem wraps.